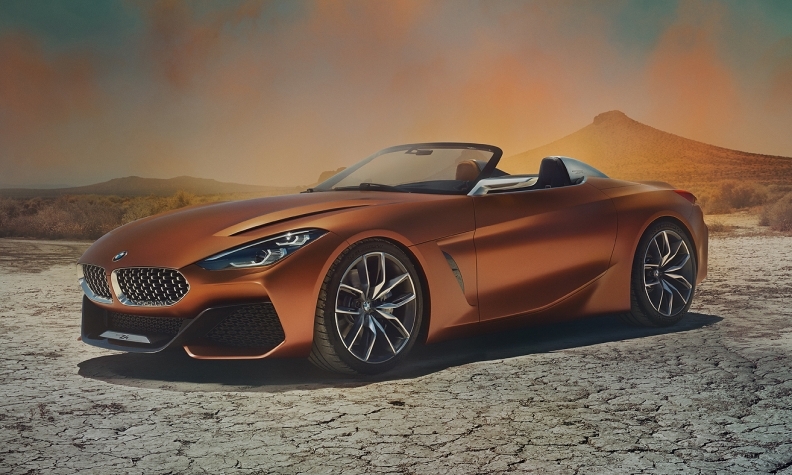 The low-slung Z4 concept has a shorter hood than its predecessor, putting the driver closer to the center of the car than in previous BMW roadsters. BMW will present the successor to the Z4 roadster in the summer, a source at the company said. The Z4, which was developed with Toyota's Supra successor, will not be appearing at this week's Geneva auto show where Toyota is previewing its version as a concept. The Z4 will return BMW to a two-seat cabrio segment after a two-year absence. Production of the last Z4 rolled off assembly lines in Regensburg, Germany, in 2016. "The new car will be shown at the Paris motor show, too, but currently the plan is to show it at its own dedicated event before then," said the person familiar with the situation. BMW unveiled a Z4 concept at the Monterey Car Week in Pebble Beach California last August. Two-seat sports coupes and cabrios have lost much of their strategic importance to automakers, since demand for a specific model is often short-lived, the segment isn't growing and the cars tend not to be suitable for emerging markets or countries like China, where air pollution plagues major cities such as Beijing. BMW partnered to share the development costs of the vehicle, pairing up with Toyota as part of an ongoing alliance first forged four years ago. This also included cooperations in the areas of fuel cells and lightweight construction.